Vegan (vegetarian options) Plant based Cuisine and Juice Bar and serve variety of healthy plant based dishes. 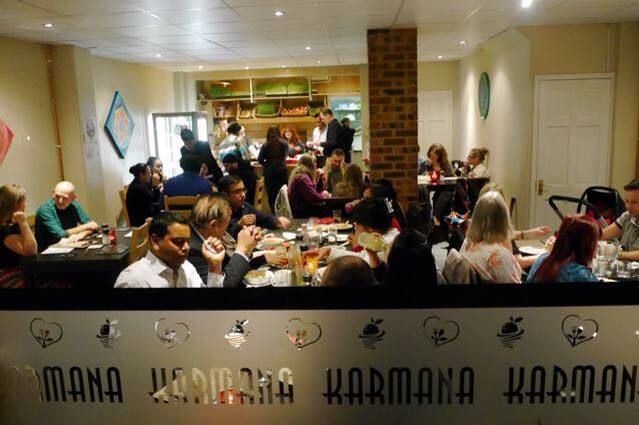 Karmana concept is much more than just another restaurant!. Name “Karmana” is a Sanskrit word. Refers to “deed”, “work”, “action” and it is also the “object”, the “intent”. These three words are together used to describe a state of consistency expected of an individual. The motto Manasa (thoughts), Vaacha (speech), Karmana (actions) is usually invoked to imply that one should strive to achieve the state where one’s thoughts, speech and the actions coincide. Karmann supports and love artists, music, and help build true sense of community. The percentage of net profit goes to good causes, we do this without ticking any boxes. “Food is a dynamic force which interacts with the human on the physical body level, the mind emotional level, and also the energetic and spiritual level. The study of nutrition is the study of the interaction with and assimilation of the dynamic forces of food by the dynamic forces of our total being.” ~ Gabriel Cousens, M.D. If you suffer from a food allergy or intolerance, please inform your server upon placing your order. Even if you have eaten the dish before, so that extra care is taken while preparing your meal to help prevent cross contamination. 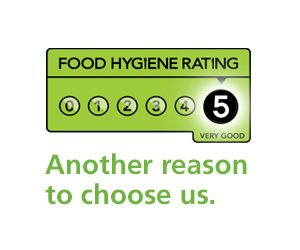 Our dedicated kitchen staff are happy to help.